Background: The care of the sick has gone beyond a 'one-man show' since the medical profession is dynamic. The dynamism of the profession is to entrench the patients' survival. This is being done by introducing the concept of Multidisciplinary Team (MDT) approach to patients' management. Objective: This review is to have a look at the various roles or ways the Chemical Pathologists can fix into MDT as laboratory physicians. Method: This article discusses the definitions and some terminologies in Chemical Pathology and concept of MDT. Its approach in medicare, went through the historical line and evolution of the subspecialty of Chemical Pathology. It discusses the role of Chemical Pathologists in MDT as well as pros and cons of the concept of MDT. Finally, it also discusses how to improve MDTs in Nigerian Tertiary Hospitals. It was essentially based on literatures written in English. Conclusion: This review article has tried to discuss roles of Chemical Pathologists in MDTs approach to patients' management in our hospitals not leaving out the historical aspects, its advantages, disadvantages, barriers and possible way forward for the suggested challenges. The practice of medical profession is very dynamic. The dynamism of this profession is entrenched on the survival of the patients. One of the various means of achieving this is the introduction of the concept of multidisciplinary approach to health-care/multidisciplinary teams (MDTs). These steps are being put in place to ensure that patients have the opportunity or rather advantage of enjoying maximum possible care in any health facility for their survival. In this approach, inputs are usually obtained and integrated from multiple sources depending on, among other factors, stage of disease progression, pain and other symptoms, patient's and family's psychological state, social and practical requirements, and available resources. Doctors from various areas of specialties including chemical pathologists, nursing staff, social worker, and many others involved in the multifaceted care of the patient form the MDT, which provides this care in a coordinated manner so as to provide continuity of care. There are many advantages of the multidisciplinary approach, and its efficacy has been demonstrated convincingly in increasing satisfaction of the patient and family, improving quality of life, and even a modest increase in survival for some patients. However, the multidisciplinary approach has its own barriers and challenges. Some of these can be at least partly overcome with an effective coordination of care between different locations, personnel, and time points of care. For example, for more than 20 years, journal articles published by leaders in the field have advocated a multidisciplinary approach when assessing management options for patients with neuroendocrine tumors (NETs).,,,,,, Dr. Larry Kvols in his own words in support of MDTs says "Because there are so many therapeutic options available for patients with NETs. and each specialist brings a different perspective. It's important that we optimize care for these patients. It's important to integrate that care and use it in a timely fashion." While trying to support the concept of MDTs, Dr. Lowell Anthony also says "I think the appreciation of all the many tests that need to be done, all the many treatments that are out there… and then the order of those treatments is challenging. It really involves more than one decision by one specialty. It really involves an integration." Chemical Pathology is broadly defined as "the chemistry of human health and disease" or "chemistry in connection with the management of patients, as it applies in a hospital laboratory"
The services of the department of chemical pathology of any tertiary hospital are not only for that hospital but also to the neighboring health institutions, towns, and states if need be. It also provides teaching at undergraduate and postgraduate levels. Who is a Chemical Pathologist? This is a specialist who after completing the first degree in medicine (MBBS), followed it with internship and community service (NYSC in Nigeria parlance), then enter a residency program (accredited training program) as a prospective trainee. Qualification as a specialist chemical pathologist requires the candidate to obtain the Membership/Fellowship of a training College of Pathologists. In other words, a chemical pathologist is a doctor who specializes in clinical chemistry by obtaining the membership/fellowship of a training college of pathologists. Charles J. B. Williams, the first President of the Pathological Society of London, told of a house call early in his career and the favorable impression he had made by his "habit of bringing … not only a stethoscope, but also test-tubes and a few reagents for the examination of the state of the secretions of the patient" [Figure 1] and [Figure 2] Bull. Hist. Chem. 24 (1999). Published by American Academy of Sciences. 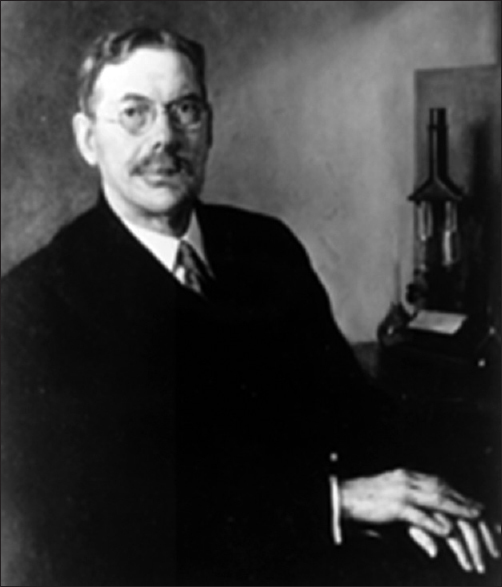 Alfred B. Garrod described the application of chemistry to pathology and therapeutics as being of the greatest importance to the medical practitioner. "How very imperfect our knowledge … of the healthy and diseased condition of the body, if we do not call in the aid of chemistry to elucidate its phenomena"
While trying to emphasize the import of chemical pathologist in MDTs, Dr Jarikre of blessed memory who happens to be a Nigerian Consultant Chemical Pathologist in his words used to say that "hardly could anybody die without biochemical derangement!!!" This is just to show the import of Chemical Pathology in medical practice because it is very rare that any death will occur without biochemical derangement. 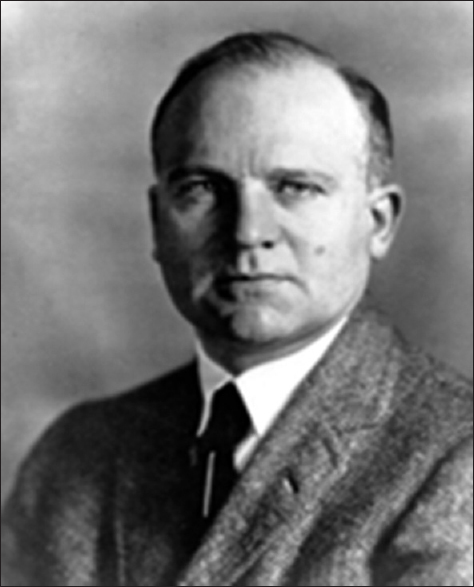 In 1958, Van Slyke in his words characterized "the complete clinical chemist. For clinical chemistry includes, not only the development of methods, but study of all the phenomena of the body's normal chemical processes, and of the alterations that they undergo in disease"
John Brown of Edinburgh wrote, "Let us by all means avail ourselves of the unmatched advantages of modern science, and of the discoveries which every day is multiplying with a rapidity which confounds; let us convey into, and carry in our heads as much as we safely can, of new knowledge from Chemistry, Statistics, the Microscope, the Stethoscope, and all new helps and methods"; thus the cradle of MDT. What are the Roles of a Chemical Pathologist? Additional characteristics include communication of laboratory data, functioning effectively with regulatory and administrative groups, and providing educational direction. Clinical roles such as participating in investigating and management of disorders of lipid, glucose metabolism, metabolic bone and thyroid; nutrition and obesity services. In addition, management of inherited (genetic) metabolic disorders to mention but few. Naturally, the role of the Chemical Pathologist is not restricted to those aforementioned; rather the few are mentioned just to illustrate the concept as a whole. In an effort to provide effective and efficient care to patients with various health conditions, the US health-care system has done much to redesign its delivery system. Developing an approach to meet the high demands of patients and to best utilize resources became necessary. The result is the common use now of a MDTs approach. When properly implemented, this MDT approach provides positive measurable outcomes in managing our patients. MDTs, as the name implies, are teams of people from different disciplines that come together for a common purpose. With a diverse group of health-care professionals, such as physicians, pathologists, nurses, pharmacists, dieticians, and health educators, social service and mental health providers, there is more certainty that all of the needs of the patient will be met. The MDTs approach is used in a variety of different setting including health care, education, mental health, and criminal justice. The concept is that it is best to address an issue or problem from all angles to maximize our gains. The MDTs professionals can change from case to case depending on the diagnosis and social or personal situation of the patient. In general, the team will include medical professionals from various disciplines, homecare professionals if needed, social service and mental health professionals, nutrition as well as health educators. The benefits to the professionals are the opportunity to enhance the professional skills and knowledge of individual team members by providing a forum for learning more about the strategies, resources, and approaches used by various disciplines. As a member of an MDT, the chemical pathologist and other specialists work together to develop a plan of action or a treatment plan and then combine their efforts toward initiating treatment. The patient is involved in every aspect and is encouraged to involve family as well, as this support can improve outcomes in the long term. We should all know that the most important member of the MDT is the patient!!! The patient will have family and social supports as part of the team. It uses time and money more efficiently. It allows providers to focus on individual areas of expertise. It facilitates continuous quality improvement efforts. And also challenges norms and values of each discipline. It can be expensive recruiting highly paid (and busy) health professionals. A major barrier such as the long-established tradition of highly focused professional practitioners cultivating a protective (and thus restrictive) boundary around their area of expertise. Failure to deal effectively with conflict may, however, lead to low morale, withdrawal, condescension, anger and burn-out!!! Review and evaluate progress at conclusion of interaction. The Department of Chemical Pathology, University of Ilorin Teaching Hospital has to some extent been involved in MDTs management of patients in the hospital, though there is still room improvement. Participating in the diagnosis and management of diabetes insipidus, etc. Participating in multidisciplinary researches at the teaching hospital, sister teaching hospitals in Nigeria, College of Health Sciences, University of Ilorin, Ilorin, etc. Participating in diagnostic and therapeutic activities at ART Centre at UITH. Just to mention but few. Judicious use of mobile telephone facility in communication. This review article has tried to discuss roles of chemical pathologists in MDTs approach to management of patients in health-care facilities not forgetting the historical aspects. Its advantages, disadvantages, barriers, and possible way forward for the challenges were also suggested. It is hoped that if all health facilities imbibe the concept of MDTs in patients' management, it will avail them the opportunity or rather advantage of enjoying maximum possible care, thus ensuring the chance of their survival. The era of sole ownership or management of patient should be discouraged or completely discarded! Caplin ME, Buscombe JR, Hilson AJ, Jones AL, Watkinson AF, Burroughs AK, et al. Carcinoid tumour. Lancet 1998;352:799-805. McStay MK, Caplin ME. Carcinoid tumour. Minerva Med 2002;93:389-401. Moertel CG. Treatment of the carcinoid tumor and the malignant carcinoid syndrome. J Clin Oncol 1983;1:727-40. Banfield A, Green S, Ramage JK. Neuroendocrine tumour management: A team approach. Hosp Med 2005;66:37-42. Zuetenhorst JM, Taal BG. Metastatic carcinoid tumors: A clinical review. Oncologist 2005;10:123-31. Ramage JK, Davies AH, Ardill J, Bax N, Caplin M, Grossman A, et al. Guidelines for the management of gastroenteropancreatic neuroendocrine (including carcinoid) tumours. Gut 2005;54 Suppl 4: iv1-16. Boudreaux JP, Putty B, Frey DJ, Woltering E, Anthony L, Daly I, et al. Surgical treatment of advanced-stage carcinoid tumors: Lessons learned. Ann Surg 2005;241:839-45. Chambers AJ, Pasieka JL, Dixon E, Rorstad O. The palliative benefit of aggressive surgical intervention for both hepatic and mesenteric metastases from neuroendocrine tumors. Surgery 2008; 144:645-51. Steinmüller T, Kianmanesh R, Falconi M, Scarpa A, Taal B, Kwekkeboom DJ, et al. Consensus guidelines for the management of patients with liver metastases from digestive (neuro) endocrine tumors: Foregut, midgut, hindgut, and unknown primary. Neuroendocrinology 2008;87:47-62. Stedman TL. Stedman's Medical Dictionary. 28th ed. Philadelphia: Lippincott Williams & Wilkins; 2006. Harley PE. Introductory Lecture and Basic Statistics: Chemical Pathology Lecture Notes. Vol. 3. University of Cape Coast; 2012. Fagin R, Halpern JY, Moses Y, Vardi MY. Reasoning about Knowledge. Bradford, England: The MIT Press; 1995. Abbott A. The System of Professions: An Essay on the Division of Expert Labor. Chicago, America: University of Chicago Press; 1988. Williams CJ. Memoirs of Life and Work. London: Smith, Elder, & Co.; 1884. p. 323. Garrod AB. Application of the science of chemistry to the discovery, treatment, and cure of disease. Lancet 1848;1:353-5. Lathe GH. The future of clinical biochemistry. Proc Assoc Clin Biochem 1968;5:8-10. Flexner A. Medical education in the United States and Canada. A report to the Carnegie Foundation for the Advancement of Teaching. Bulletin Number four. Boston: Merrymount Press; 1910. p. 101-2. Meites S. Abraham flexner's legacy: A magnificent beneficence to American medical education and clinical chemistry. Clin Chem 1995;41:627-32.
van Slyke DD. Ivar Christian bang. Scand J Clin Lab Invest 1958;10 Suppl 31:18-26.